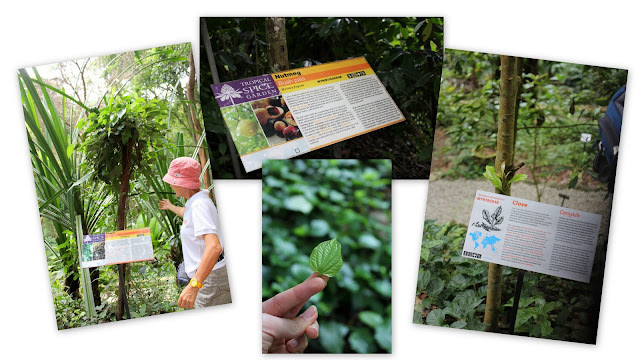 Whilst in Penang, we took the opportunity to visit their award-winning Tropical Spice Garden. It used to be a rubber plantation, but has since been given a make-over, and now houses 500 species of plants. 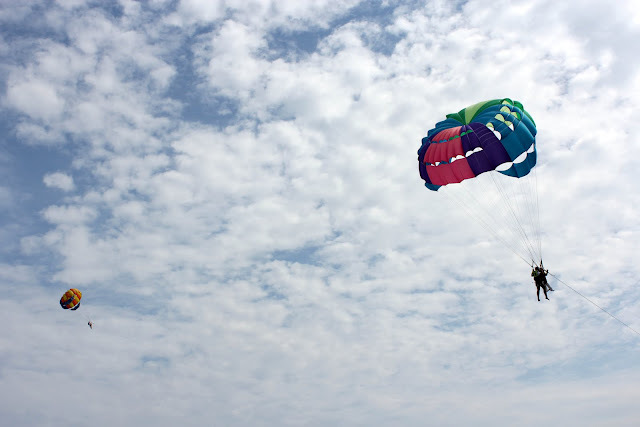 The location is a little out of the way but if you are staying in Batu Ferringhi, it’s not too far off. The Front Office is housed in a two-tiered wooden pavilion built in the style of Malay Vernacular architecture. I highly recommend buying tickets for the guided tours. Our guide did a brilliant job in pointing out certain plants, explaining the saliant facts about them, and their medical uses. There are little signs everywhere that spell out all these information but I’m sure you’ll agree that reading can be quite tiring (vis-a-vis listening) and going through 500 signs is really too much of a hassle. This is a popular ornamental plant, but actually its leaves can be used to brew tea, and it is observed that this tea alleviates problems stemming from kidney diseases. Before you start on the trek, you’ll be given mosquito repellent. It’s made from a plant that you will see in the Garden itself, called Citronella. As the name suggests, it has a citrusy smell- similar to lemons. The logo of the Tropical Spice Garden is a torch ginger, so naturally you can expect to see it in the garden. Much to our delight, we also saw many other species of ginger including the normal yellow ones we use at home. The sheer number of spices grown in the Garden itself is quite mind-boggling. We had a short crash course about cloves, cinnamon, pepper, star anise, nutmeg etc at a small rest-stop in the Spice Trail. Shoppers like us shouldn’t miss the gift shop of course. Most of the spices you see whilst on the trail are on sale. The beautifully pre-packaged spices make great gifts to family and friends. Dining options around the area are limited. 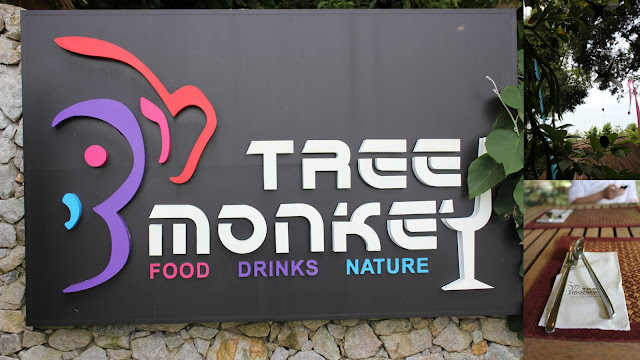 It’s probably more convenient if you eat at the Tree Monkey, which is within the Spice Garden itself. The thai food served here is more than decent. You can request for your food to be less spicey, if you are not too good with chillis like I am. I enjoyed the steamed fish a lot for it’s tender flesh, paired with a sourish broth that really perked the senses. 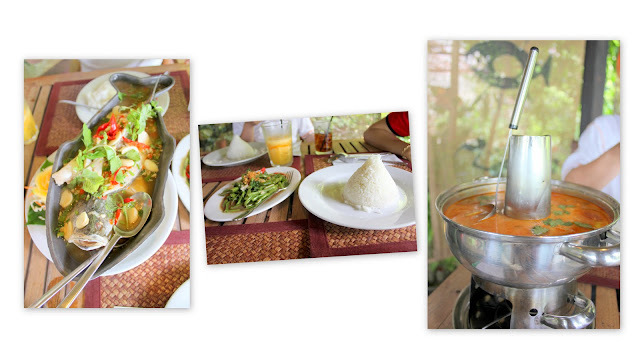 The seafood tom yam was another commendable dish- for its tasty broth, and the fresh seafood that went into it. Desserts were outstanding, and combined with the view of Batu Ferringhi, we couldn’t ask for more. 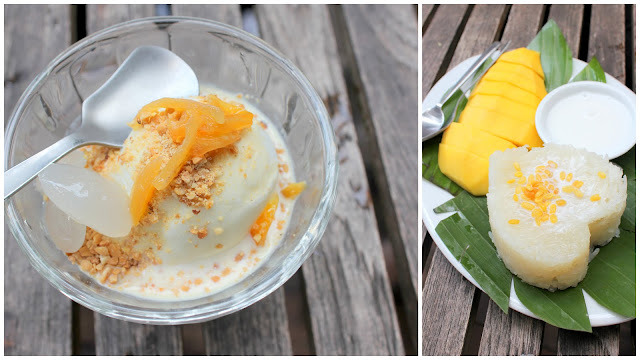 The mango sticky rice is served warm, with a generous amount of firm mango slices by the side. It went really well with the ice-cream which was.. ginger or some odd flavour that I can’t recall now. Though the place only has alfresco seating, the thick foliage keeps the place cool. Tour the garden in the morning when it’s cooler, then settle for a sumptuous lunch in the afternoon before heading back to the hotel for a siesta.